I really love painting. I’m not very good at drawing, so I don’t know if I’ll ever be a realistic painter, but I just love working with color. I’ve taken classes at PNCA, did a little painting during my completion of The Artist’s Way and I paint nearly everyday with my daughter. 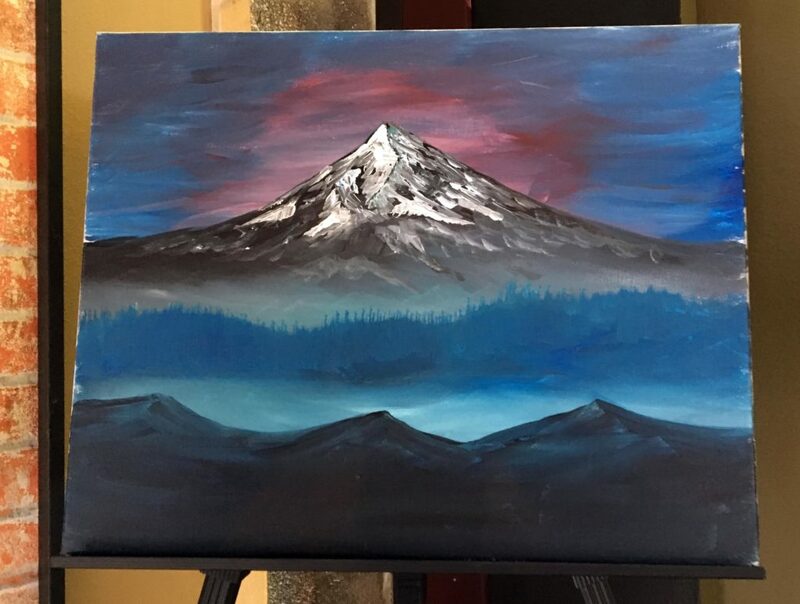 So I was thrilled when Prism Art asked me to come try out one of their classes. 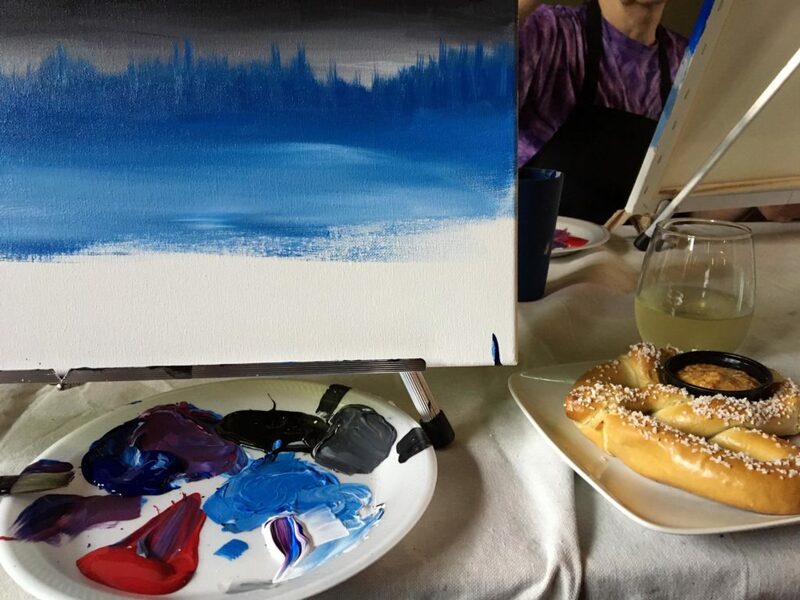 Prism’s classes are similar to many of the “paint & sip” classes you hear about. 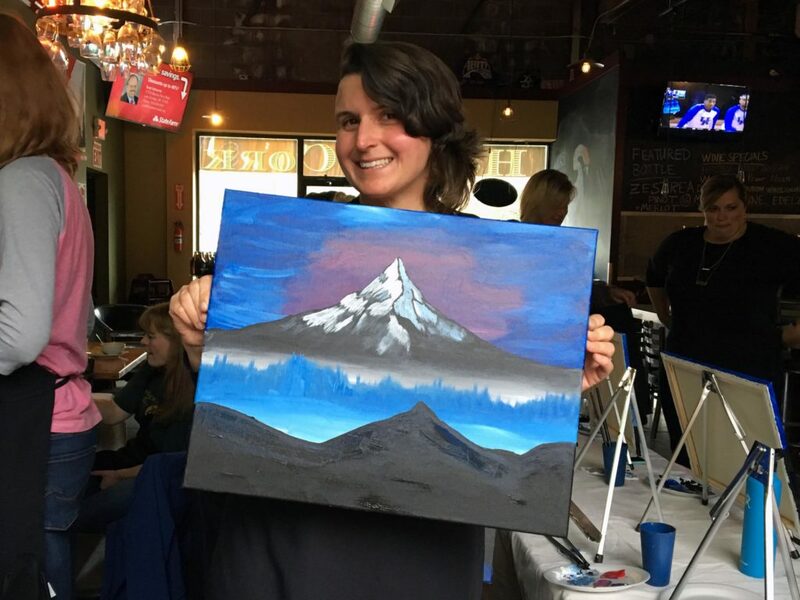 They are held in local coffee shops, bars or restaurants where the teacher, Megan, will lead you through an entire painting from beginning to end in just two hours! We even had time for a short break to order more refreshments and food. All you need to do is show up. They have everything you need: paints, bushes, easels and even aprons. 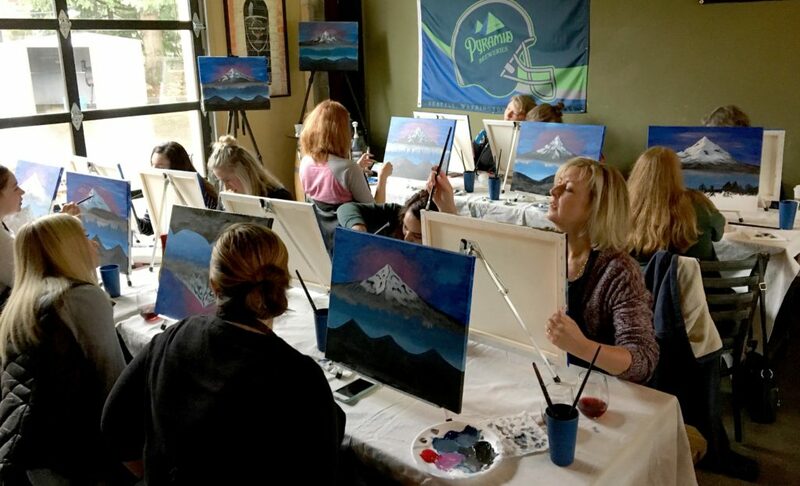 The class I attended was on a Sunday afternoon at Hop N Cork in Lake Oswego . The restaurant was open but it was quiet at that hour making it a really pleasant space for painting. I ordered their draft kombucha and a soft pretzel and settled in. This is the second time I’ve been to a class like this, and both time’s I’ve heard so many concerns from the other guests about their poor painting stills. Let me ease your fears… anybody can do this! Every single person in the class walked out with a great painting. Megan broke the entire painting down into simple layers. 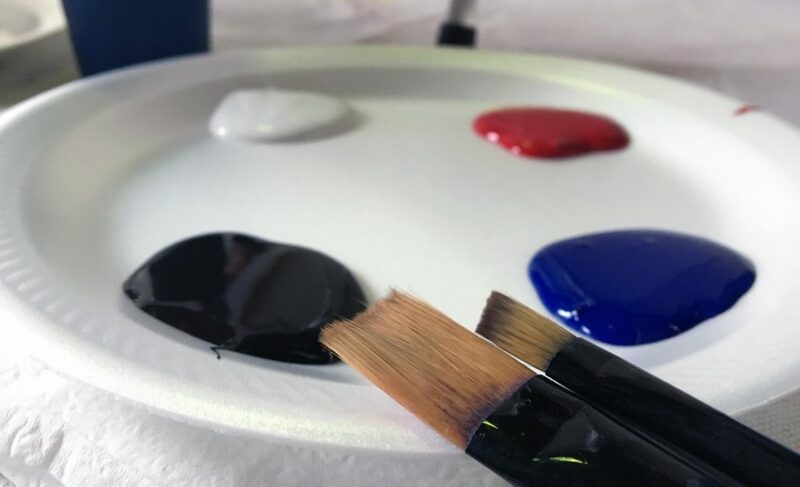 She told you which colors to use, how to mix them, which brush to use and even how to hold the brush for different kinds of strokes. Towards the end, she even suggested a few ways to personalize our projects by adding more trees, lakes or grass. By the time two hours had passed, I walked out with a painting I really liked and so did everyone else. Honestly, the results were much, much better than the last class I took. It was a great way to spend an afternoon, plus I learned some things that I will probably use in future projects. Me & my finished painting. Prism is a little different from other painting businesses because they have some family friendly classes in coffee shops. This would be lots of fun if you had older kids who could participate. The steps are easy enough, I think late elementary school kids could probably do fairly well. Megan is great about walking around to help in between steps and keep you stocked on your paint, so you will feel supported no matter what your skill level. There are lots of paint and sip businesses around town, this is the only one I’ve tried so far, but I give it two big thumbs up. Happy painting!